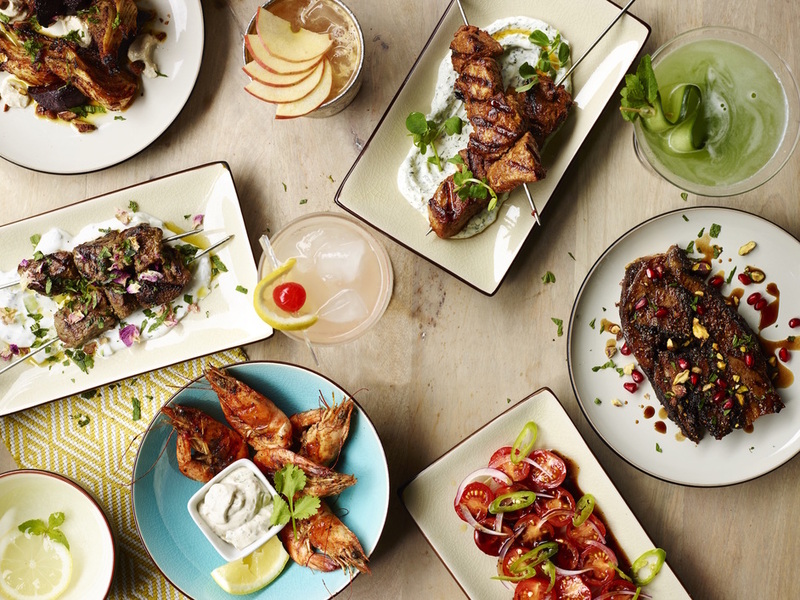 Following acclaimed pop-ups across London, Levantine restaurant Ceru has a permanent restaurant on Bute Street in South Kensington. Inspired by the flavours of the eastern Mediterranean coast, also known as the Levant, Ceru brings its own authentic, yet contemporary, spin on the traditional cuisine from the region. Open daily for breakfast, lunch and dinner, the bright and inviting restaurant offers classic mezze alongside grilled meats, healthy, vibrant salads and desserts. Signature dishes include lamb shoulder slow-roasted for over five hours in a secret blend of twelve fragrant spices, which takes two days to make and is a real menu highlight; lamb kebabs, marinated in rosewater and served with rose and mint tzatziki; and fadi dip, made with roasted courgette, yoghurt, lemon, tahini and garlic and served with moreish baked pita. For dessert, conclude with the small but mighty dark chocolate, pistachio and sour cherry mousse and wash it all down with a light and refreshing Cucumber Martini or a mouth tingling Too Hot To Handle, which is made with fresh chilli. What are the best dining options near Ceru South Kensington London? Ceru South Kensington gyms, sporting activities, health & beauty and fitness. The best pubs near London Ceru South Kensington. Ceru South Kensington clubs, bars, cabaret nights, casinos and interesting nightlife. Where to have your meeting, conference, exhibition, private dining or training course near Ceru South Kensington. From cheap budget hotels to luxury 5 star hotels see our discounts for Ceru South Kensington hotels, including Cheval Harrington Court Apartments from 95% off.